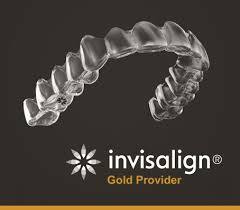 Aligntech has awarded Dr. Neely Premier Provider status for the past four years because he is above the 95th percentile of Invisalign providers in North America in terms of clinical experience and treatments completed. Consider Invisalign treatment to get the beautiful straight teeth you’ve always wanted — without braces. A consultation with Dr. Neely can determine if Invisalign clear aligners are right for you. Not only are the aligners virtually invisible, they are removable, so you can eat and drink what you want while in treatment. Plus, brushing and flossing are no problem. The alighners are also more comfortable than traditional braces, with no metal or wires, which also usually means you spend less time in our office getting adjustments. Invisalign treatment also allows you to view your own virtual treatment plan when you start, so you can see how your straight teeth will look when your treatment is complete.